This week and onward to the Half, mileage will have to be higher. Last weekend included the last race before the Half, and was therefore the last weekend sans long-run. Still, I feel good about the quality of the miles I put in this week, and I'm excited for the final three weeks of training ahead. I cannot get over the drastic change in weather we've been seeing! Something about the chilly air in the morning really sets me up for feeling confident about my race. Saturday, I ran the Race the Roof 8k. There were a million wonderful things setting this up to be an awesome experience: the race proceeds went to Habitat for Humanity, which is a cause I actually care about; the course took us through the paths and boardwalks of a gorgeous gated community; and my sister came up to run the race with us, to name a few! This week, volleyball started. I coach the girls team at my school, so I've been doing all kinds of squats, jumps, and lunges with the girls. Needless to say, my quads have been killing me this week. This made me a bit nervous, but K and I had run an easy 2.5 the evening before race-day, so I knew I could run through the pain. Plus, since using my new foam roller and breaking in my new Kayanos, my legs and knees have felt truly awesome. The race started out nicely except for a couple snags. We didn't have time to do a warm-up lap, so we started out a little stiff. Also, even though I used the bathroom twice before we ran, I had to pee within the first mile, and the feeling didn't go away until mile 3 or so. It was distracting, but I couldn't bring myself to peel off and pop a squat, so I just dealt with it; I do think it messed with my pace early on. We actually got a shot running together! M and I ran the first couple miles together, keeping a nice mid-9 pace. As usual, I kept an eye on a few people running around/near us, and took particular note of Man in Orange Shirt, Man with Dog, and a couple who looked familiar from previous 5ks. 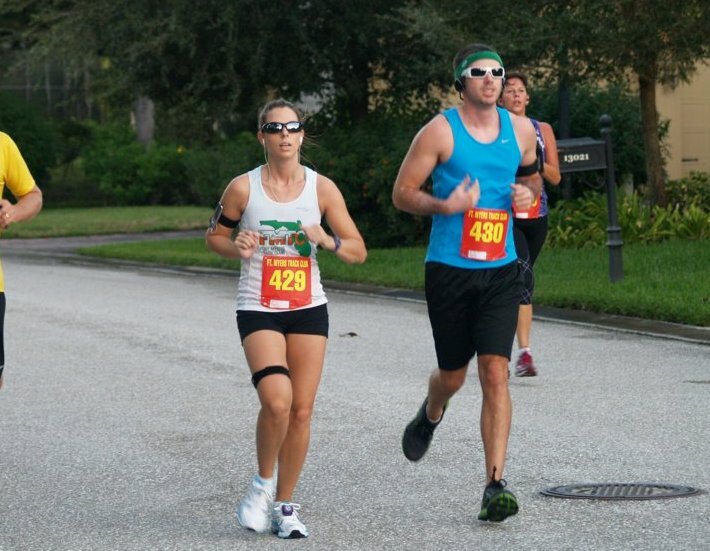 S (my sister) had fallen behind us a bit, but at a corner turn at the 2-mile mark, I was able to catch her eye and wave, so I knew she was doing well. There was something exhilarating and satisfying about knowing my sister was running this race with us. There is something really rewarding in that. I know that those of you with siblings will kind of get it; finding something you both love and can really bond over together - something that is good for you - is indescribable. The course was so beautiful, M took a pic while running! M took off ahead of me at that point, and I ran the rest of the race pretty much alone. For the most part, it was an easy and beautiful course. We ran through tree-lined golf cart paths and over perfectly springy boardwalks. The foliage and slow sunrise made for a gorgeous ambiance. There was a stretch of road around mile 4 where there weren't many trees, and that was my hardest spot. The wind was intense; I had to cup a hand over my mouth so I could breathe. (I've always had trouble with headwinds; it's one reason I don't love rollercoasters.) It was at this point that a few runners who had been tailing me were able to overtake me, but I just told myself to relax and be true to my pace. I only had about a mile to go. After this stretch, which only lasted about half a mile, we were back on the community streets with houses blocking the wind, and I was feeling great. I still wasn't experiencing knee pain, and my feet felt like they've never felt before. No fatigue, no tingles, no aches. I came to a second boardwalk with about half a mile to go, and it was here - with a nice change in terrain and the slight bounce of the boards - that I got my second wind. I was able to overtake Man in Orange Shirt with almost no effort. At the last tenth, K was waiting for me with her daughter. She called out, "It's a blind finish; you're almost there!" and that, as usual, got my sprint going. I passed a couple (the same I passed at the Dr. Piper race at the finish) and forced myself to catch up with Man With Dog just as we neared the finish line. He gave a laugh as he saw me coming, and I laughed back as he picked up his pace as well. I nearly cackled when I crossed the finish line, I was so proud of that final performance. We finished neck-and-neck; I wanted to thank him for the extra motivation, but I was too embarrassed. My finishing time was 48:05 and my goal was 50 minutes or less, so I'm really pleased! I'm happy to see that I've been able to hold a steady, fast pace (for me) for the last few races. This is our last scheduled race before the Half on Nov. 18, so I'm glad it was a good one. As far as placing goes, I was 87/154 overall, 40/88 women, 8/14 in my age division. Pretty average, but that's not surprising. If anything, I'm once more showing my consistency. S came in right behind me, just a dozen seconds later. She had been able to run the whole thing and felt good. It was a successful day for everyone! This was also a good race because of the festivities afterward. K's daughter R ran in the tot-trot. She was definitely the youngest out there, but no one can resist a tiny toddler running her hardest, and she won the most high-fives and a ribbon, which she is very proud to display in her room. (M and I babysat for her last night, and she wanted to show me where she had hung the ribbon - she's sure to follow in K's footsteps!) There was a delicious breakfast buffet afterward, raffle prizes, and pumpkin painting. 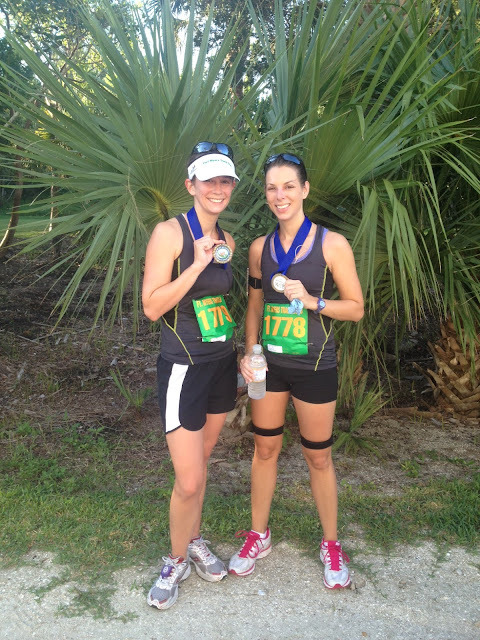 We stayed for some of the events and then headed home, happily revisiting moments from the race. I think it took me too long to warm up for this distance. I still prefer the 10k, but you rarely see an 8k so I'm glad we did it. Now it's back to real training as the Half looms less than a month away. I'm trying not to let my head get cloudy with nerves. No matter what, it will be more successful than my first, and I just have to remember that I'm not competing with anyone but myself. This isn't about friends and their times and their accomplishments; it's about me. And right now, I'm feeling pretty damn good. As I prepare for my 8k tomorrow, I'm preparing my race gear and facing down the age-old question of runners everywhere: what to eat? Most veteran runners have figured out their perfect pre-race meal, but newer runners often struggle with figuring out a filling (but not too much) and quick meal that won't make a reappearance of any kind during the race itself. We've all been there, right? I'm experienced enough with shorter-distance races that I know what I can and should eat before a race. 5k breakfasts take almost no thought. I have a banana and part of a protein bar, plus a cup of coffee to get things moving along, intestinally-speaking. K and I call this our race breakfast tradition. I try to eat all this about an hour before the race. But as I only have one Half and a 10k under my belt when it comes to long-distance races, I'm sometimes still not sure what to eat. Before a long-run, I have about half a protein bar. But that's a slow, easy run. So what's a good go-to for race-day foods? If you have time to cook, eggs in a basket are good for race days. The rule of thumb is to have enough protein to keep you full, and to eat your carbs the day before. Those carbs shouldn't be too full of fiber; we all know how our stomachs tend to react to the nerves and adrenaline of a race, and fiber can really make a mess, to say the least. This is a good time to actually eat your white pasta and white bread. Eating more than an hour before a race allows for bigger meals. Foods to avoid include high-fiber fruits or vegetables, anything with a ton of dairy, and nothing. The first is kind of obvious, as I've already touched on that. Dairy can be heavy, and depending on your tolerance for it, it can really cause stomach issues you didn't realize you'd be facing. I'm very tolerant of dairy, but if I have too much over a week, suddenly my body rebels. The morning of a race is not the time to spin that roulette wheel and hope my intestines aren't going to just decide to hate on the milk I've poured on my cereal. 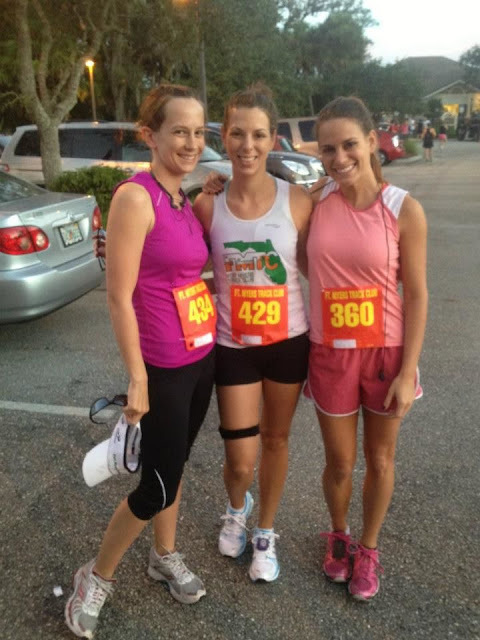 Case in point, M ran a race with K and me last spring after drinking a protein shake. The weight of the shake, plus the dairy, left him feeling sluggish, over-full, and completely nauseated. He could hardly keep up a jog toward the end, and it was only a 5k. Eating nothing before a race can be detrimental. You're more likely to push through your race strong, with energy to spare, if you eat something before getting to the starting line. I don't mind being hungry suddenly halfway into a race, but I hate starting a race feeling starved. There's a perfect balance I strive for. Finding the perfect breakfast combination can be annoying; it's pretty much trial-and-error. The most important tip I can offer is to test new foods during training so that you're ready on race day. Eat, digest, run at race pace, and really monitor how you feel. What are some foods you've been successful with? What were some bad choices that led to sticky situations? Be brave; share! 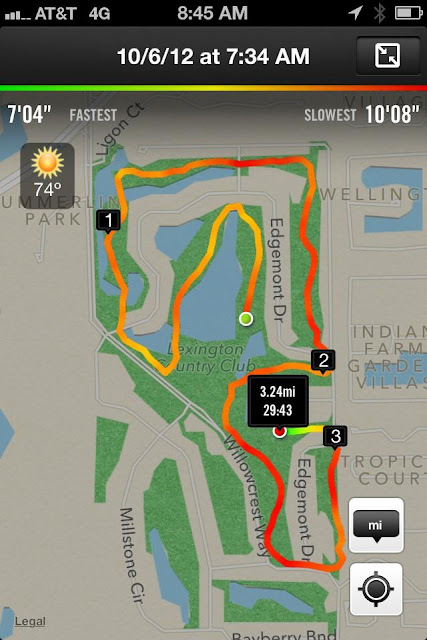 K and I are still hitting snags when it comes to meeting our goal for weekly runs. The long-runs on the weekends are saving our mileage, but I know we should be hitting 22+ miles weekly. 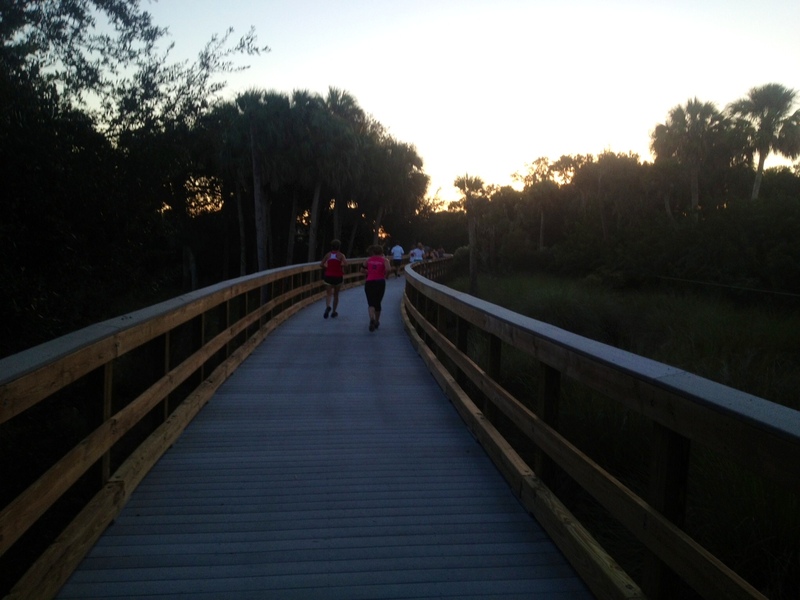 This weekend we did our 9-miler, and it was solid; included the bridge twice, which was a welcome challenge. We met up with a work friend of mine who I coerced into running the Half with us; it was fun to add another person to our run! This week we're starting tempo runs, and we have an 8k Saturday. Less than a month 'til our Half! I receive emails from RunnersWorld.com for the motivational quotes. Some of them don't really do much more than fill up my inbox, but once in awhile a real gem comes along. When I read this quote, a tremor went through me. It struck me in the heart, the way truth tends to do. I haven't been able to shake that second sentence from my mind. I had an almost visceral reaction the first time I read it; I was covered in goosebumps. Burn up what is false. It speaks to me on so many levels. We live our lives shrouded in falsehoods; they weigh on us like shackles, dragging us down from the inside. We're never good enough, strong enough, smart enough, pretty enough, selfless enough...you name it. We are constantly bombarded with images of what we should strive to be, but no person alive today could ever meet such expectations. The only way to achieve peace with yourself is to let go of the illusion that perfection actually exists in a singular way. We should aim to be the best version of ourselves, and leave the rest. So there it is. Find a way to burn up the falsehoods that cloud our lives and make happiness so difficult to achieve. There are any number of ways to do it, but for me the key is running. I run, and the weight falls off my shoulders. The stress of work, the fear of inadequacy, the uncertainty of the future...for a time, gone. As long as the run goes, my mind is blissfully free of those doubts - those falsehoods. For a time after the run, the freedom remains. Running is a talisman, and the memory of the last run wraps me in a cocoon, this safety net that gives me an inner fire that lets me burn up the fictions of the world. I see things more clearly, and I am me, standing tall, secure. I am not how others see me, what the world wants me to be. I am living my own truth, and running is what makes that possible. Forget what the world tells you. Find the thing that lets you block out the white noise and listen to your own mind. Figure out what is false and light it on fire. Let it burn. Fewer weekday miles and a 10k race in lieu of a long-run kept this week a bit lower. K and I are discussing the wisdom of reshaping our training. We've been planning four weekday runs and one weekend LR, but each week we seem to be taking a random day off due to exhaustion or, you know...life. So we're thinking of cutting back so that we're getting three weekday runs, thereby getting more planned rest days and hopefully increasing our energy overall. As we add miles to our LR, we'll still see our weekly mileage stay steady or increase, so we think this may be a more balanced route. I am really pleased with this week. We had a short run Monday to recover from our long-run, then took Tuesday and Wednesday off. Thursday and Friday we kept our 4-miles under 40 minutes and didn't much slacken our pace going over the bridge. Saturday we had our first ever 10k and, as I mentioned in my last post, were beyond ecstatic with our results. I am feeling a cold coming on, so fingers crossed that I stay healthy enough to stay on track! 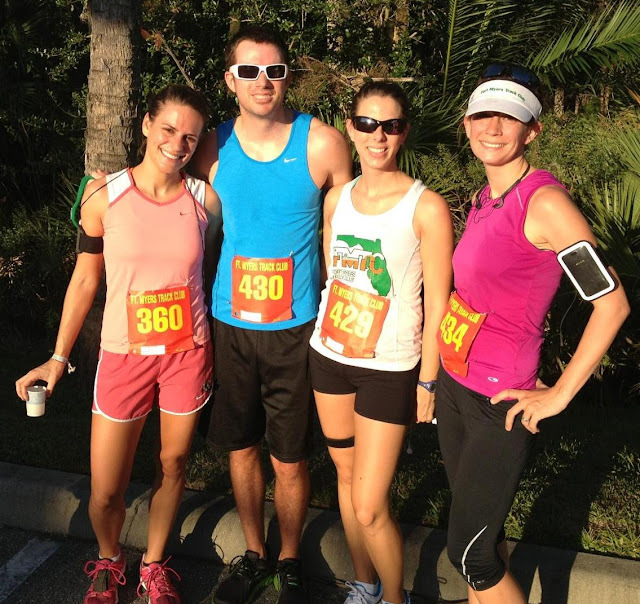 Our next race is an 8k on Oct. 27, and my sister has signed up to run it with us! I can't wait! Plus, K and I plan to volunteer at the 5k next weekend; it will be nice to give back to the track club that organizes all these races. Today's 10k was better than I could have hoped! My original goals for the race were to 1) run the entire thing and 2) finish in no more than 65 minutes. I've never run a race of this distance. I've run 5ks and the one Half, but have only covered 6+ miles on training runs, when we keep the pace much slower. I was anxious. However, the day started out beautifully. The weather has been in the lower 70s in the mornings this week, and today was no different. By the time the race started at 7:30, the sun was peeking over the trees. It promised to be a cloudless, sunny day. Still, the route on the island was tree-lined and shady. I never felt overheated, swamped in humidity, or like I was burning. I was nervous before race time, but when we finally lined up at the start, I was filled with confidence. After all, last weekend we had had our 8-mile long-run. 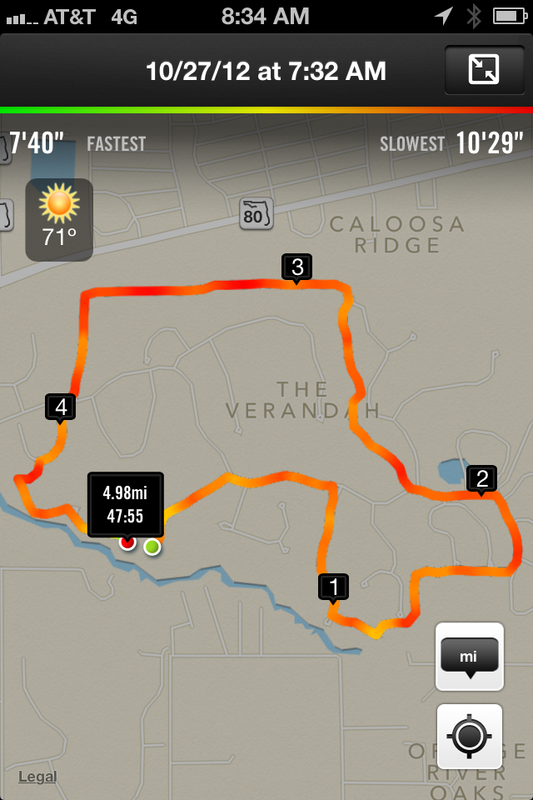 I could do 6.2, even if I kept the pace slow and steady instead of "racing". K and I stayed together for the beginning, but the crowd was tight and eventually we ran on our own. I'm always fine with this, because it allows me to follow my own pace and it allows K to be as competitive as she wants. Anyway, I've been having some IT band pain this week in my knees, and I had to wear both braces today. Around 2.5-miles my knees started to feel better, but I was also starting to have that weird mental-block that comes up in races. I knew I was nearing the 3-mile mark, and if this were any of my previous races, that would mean I was done. But really, I was less than halfway to the end! Luckily, when I passed the 5k sign (which had a clock and an actual mat to check your time), seeing 29:16 spurred me onward. The race took us over a hard-packed sand road for the turnaround, and I saw K when she was around 5 miles and I was coming up on four. The middle of the race was the easiest for me. I found my stride, felt strong, enjoyed my surroundings, and was so overwhelmed with a feeling of strength and positivity that I could have cried. Especially after how I've been feeling this week, it was just so wonderful to be out there in the sunshine on this beautiful island, surrounded by nature. It was running at its best. After the turn-around, I was having conversations in my head. There was about 1.25 miles left to go and I had to urge myself not to drop down my pace. I had my watch on and was able to keep a pretty good eye on my goal, and seeing that I was on pace to come in at an hour kept me going. The best part of the run, though, was the last half mile. The end of a race is always hard for me until the last quarter mile, where I usually pick up the pace for me finishing sprint, but this time I kept pushing myself to pass people. Then, with about a tenth to go, K met up with me. She ran with me, yelling for me to catch this guy in front of me, urging me to push harder. I think my finishing sprint was the fastest I've ever done. It was ugly - I know, because M recorded it from the sidelines - but I crossed the line at the same time as the guy she wanted me to catch. I could hear her over the crowd yelling, "You did it!" I really cannot express how much it means to me to have such an amazing running partner. I mean, there are a million reasons she's a great friend, but as far as running goes, I couldn't ask for more. 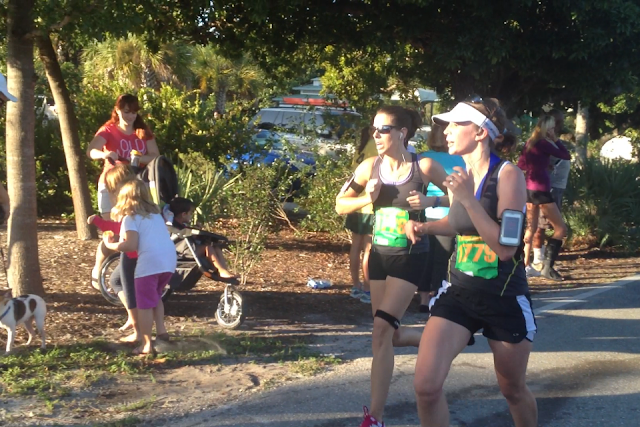 K has always come back to get me at the end of our big races to push me more than I can push myself. I'm not naturally competitive, and she gives me that extra boost I need. I never finish a race alone. In a crowd of screaming people, I can always hear her voice over the rest. I was exuberant at the end. We got finisher's medals and were both completely jazzed. K finished in 53 minutes or so, and I slaughtered my goal by 7 minutes! This race has left me with a good feeling about the Half in November. We've come such a long way from just a month or two ago; I can hardly wrap my head around it! The day was made even more special when I saw that my sister had competed in her first 10k today, too. She signed up last minute, so this was a nice surprise. 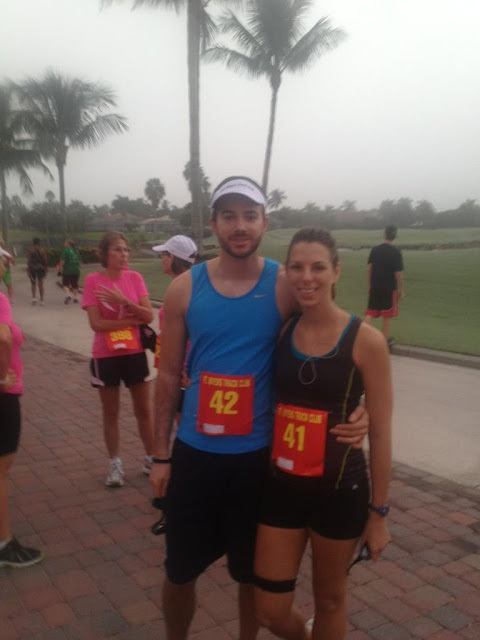 We ran our first 10ks together, in spirit, in a way. I was feeling so overwhelmed and happy with everything that I was a little teary-eyed as I washed up post-lunch. Everything was just...perfect. I couldn't have asked for better circumstances, weather, route, or companions. My stats for this race are as follows: 58:41 (58:27 adjusted time), 214/357 place overall (not my best, but whatever), 95/199 women, 5k time of 29:16. The successes of this race and last weekend's race leave me feeling exhilarated and totally, completely just...happy! I think I may be in love with this distance! Our next race is at the end of this month. It's an 8k, so I'm really excited to see how well we do on a shorter distance, especially with a few more bridge and long-runs under our belts. Author's Note: This blog entry discusses running as an addiction that affects my personality, and as a cure for my depression. In discussing addiction and depression, I in no way wish to offend anyone. This is about my experience, my struggle, and my journey. Thanks for reading. Addiction is a worrisome word most of the time. It calls to mind illicit activities, an inability to control one's urges, and a sense of impending doom as destructive habits go unchecked. Veteran runners will tell you about the runner's high without any sense of irony or concern. Non-runners will roll their eyes, because surely this is just something runners talk about; it likely doesn't exist and is just a figment of a deluded mind. But the runner's high is real, caused by endorphins and hormones released during exercise; and if the high is real, then it makes sense that - like other things that get you high - running can be addicting. I have written before about becoming a total nightmare on days I don't run. This still holds true for the most part, although since increasing my mileage and consistently running in the morning, I find that rest days aren't as difficult to deal with. My body craves rest, and I don't really mind taking those days off anymore. However, I am noticing different side-effects of running consistently. For example, this week we ran Saturday, Sunday, and Monday. We took Tuesday off. We were supposed to run Wednesday, but you know what they say about "the best laid plans". I didn't feel guilty about taking Tuesday and Wednesday off, but my mood underwent the kind of subtle and horrific change that can only be attributed to not getting a fix when your body is screaming for one. I was lethargic all day. I was irritable with my students. I came home after work and wanted to curl up into a ball and sleep for a year. I was despondent; I clung to M and barely held back tears that, if pressed, I could not have explained the cause for. Here's the thing. I've dealt with depression. I don't mean the kind of depression where you're kind of sad but a good day with friends pulls you out of it. I'm talking consistent, unshakeable, deep depression. The kind that leads down dark roads paved with unhealthy habits and addictions, concerned parents, baffled friends, helpless therapists, medications that prove useless, etc. I've read some interesting articles about running and depression, specifically that running can "cure" depression, but that those who choose this route may need to rack up 40+ miles a week in order to stave off the monster. Anyway, on days I don't run, that deep, gnawing, unfathomable depression that has no immediate cause (and therefore no immediate solution) threatens to wake from its hibernation. It's barely a shadow of what I've dealt with in the past, but...well, slippery slopes, and all that. So yes, running is an addiction for me. It's one that keeps me sane. On the days I think I'm too tired to run, I sleep an extra two hours but then struggle through a day filled with fatigue and short fuses. My students, who often bring me joy, irk me. They notice it, too, because kids are observant, and because they're tactless, they ask, "Are you getting sick? Are you tired? Are you okay? You look sick. You look tired." On the days I force myself out of bed, I lose two hours of sleep but go to work feeling refreshed and buoyant. The energy lasts all day. Off-days that are planned ahead are much easier to deal with, but the days that sneak up on us because of circumstances outside our control never turn out to be good days. Running has become a wonderful drug for me, but I have to worry, because like any addiction, there are negative side-effects. This week I've had some tenderness in my ankles and knees; what if I injure myself and have to take time off? What if I (like many runners before me) ignore the signs that I need to cut back a bit? I could cross train at the gym on the rowing machine, the elliptical, the bike, in the pool...but I know that part of the high I get from running is from running. I may still be getting exercise in, but nothing affects me like running does. This was meant to be a lighthearted post, and I think it got away from me. But I've been reflecting on the past ten months (oh my gosh, has it been that long since I made this resolution?! ), and my relationship with running has changed and changed again. It's amazing how important it's become to me, and I feel a sense of complacent pride when I think down the road five, ten, fifteen years and know I will still be running. When I think back to high school, when I half-heartedly walked the mile run in close to 20 minutes and was struggling with a beast of a depressive nature, I can hardly believe the lifestyle change I've somehow managed to make. It used to look impossible; it was a mountain I'd never conquer. But today I can credit my health, my happiness, my solid relationships, and my clear head to running. It's truly been a miracle drug. This week I didn't upload my .6 mile warmup pre-5k, so the numbers show a little lower than they were in reality. 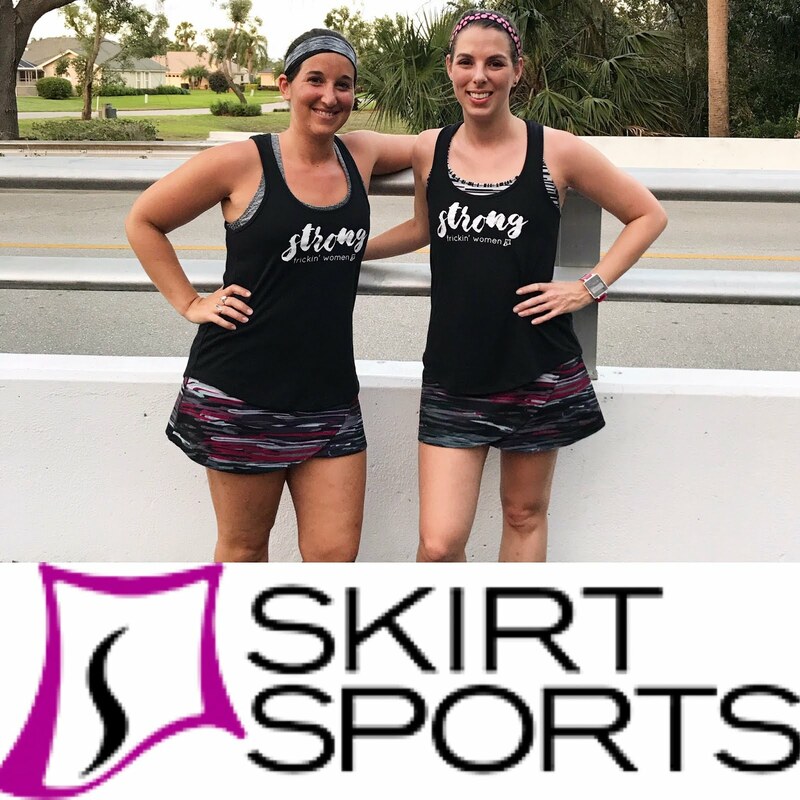 This was a week where our schedule got messed up and we thought it would be "light", but I'm beginning to notice that long runs obliterate any possibility of running a scant 12 or 15 miles in a week. Case in point, we ran 12 (including our race), which was our "light" week, but then did a long run, bringing us to 20. I'm very happy to stay around 20 miles, although I think by Half-time, we'll be around 25 or more. After our 8-mile long run Sunday my knees have been a little twinge-y. They ached in the last few miles of that run, and then this morning we did 2.6 and they ached during that, too. It's not my IT band; the ache is central to the knee cap and a bit low. I need to look up some stretches and get back to the gym - I only went once last week. Next week we're taking a break from an official long run to run our first 10k. Very excited! I'm feeling really confident about November's Half. 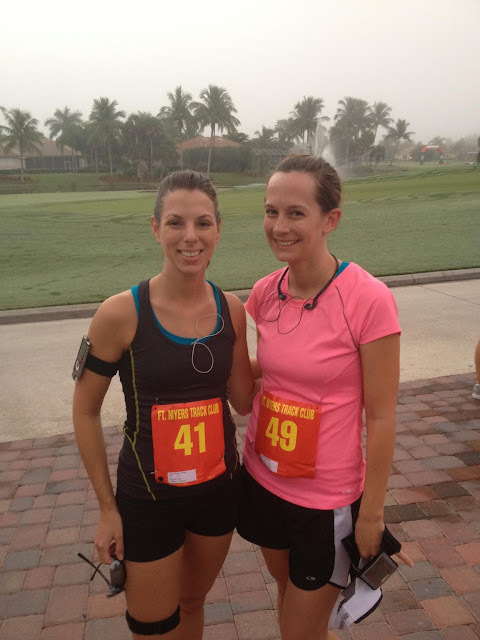 Also on the wish list: a good Turkey Trot near home (post-Half) to run with my sister. Finally, a shout-out is due for SF and DC, two friends of mine who ran (respectively) their first full marathon and their second Half. SF completed her marathon is just over 5 hours, which is super impressive to me, and DC killed her Half PR by 8 minutes! Excellent work, ladies! K and I took two days off this week...Tuesday because we woke up to an absolutely torrential rainstorm, and Wednesday because it's our scheduled day off and we didn't want to mess up the rest of the week. We have a race Saturday (5k), and then we're running that same evening (5 miles) to get a full long-run's worth of distance in. Anyway, we ran a new route this morning, and while I enjoyed it immensely, I encountered an interesting phenomenon I'd never dealt with before. Usually, changes in humidity from road to road feel subtle. K or I may comment that it feels more or less humid after we've made a turn, but usually it's only just noticeable. Not so today. Today, our run took us down two roads. It was an out-and-back, so you can imagine the roads intersect a bit like an L turned on its side. It was warm and humid this morning from the start, but manageable. As we left the first road (the straight shot up from the cars) and made a right turn onto our second road, I felt a change that was so obvious and thick, it really was like running into that proverbial wall. Within moments we were both drenched in sweat. It felt like we were running through the heat of a summer night, instead of an autumn morning. Of course this kind of weather is challenging, and after two days of rest I had to really mentally beat myself up to keep my legs moving. But here's the weirdest part. The first road had felt humid and warm on the way out, but when we came back to it on the return trip, turning the corner literally felt like breaking through some kind of barrier. It was as if we'd exited a stifling room to venture into the cool outdoors. The first road was downright refreshing! I've never experienced such a pronounced change in humidity just from taking a right turn. The second road is tree-lined and only two lanes, so I think that has something to do with it. But let me tell you: the last mile of the run felt amazing. I'm so grateful for this weird phenomenon, because it really gave me the second wind I needed. In July and August, I ran consistently, but my miles were much lower. When I went back to work in August, K and I began our early-morning runs, and that really helped to keep me on track. Her return from maternity leave has been, I think, the biggest influence in this progress. Who knows how long I'd have kept running 2-milers otherwise? But this week was by far the best. I know that by the time we're Half-ready, we'll be running about 35 miles a week, and now I'm truly seeing how this is plausible. As K pointed out, our long runs have begun to make her truly feel like a long-distance runner, and I agree. I can kind of see how people tackle full marathons, now. Seeing your miles go up is truly addicting and totally rewarding. My week was so successful that DailyMile called it "epic"! Now that's saying something. As for today's run, we finally did some bridgework. We ran a new route that made both of us happy - even ecstatic. You see, this route includes the bridge we've been talking about running. One of the benefits of the bridge, beyond the obvious, is that conquering it as part of a 4-miler (in under 40 minutes!) has completely boosted my confidence yet again. Coming off last week's disappointing runs, I couldn't be happier to have challenged myself and come out so strong! I continue to be grateful and amazed at what my body can accomplish. And now, facing a 5k on the grass on Saturday, I know I'll be fine. I may be slower because of the terrain, and I may even have to walk some, but I know it will help boost me toward my goal regarding the Half. I am just excited to keep pushing through these challenges! PS: On another epic note, my sister, running her second 5k ever, came in just over 28 minutes. So exciting! !